John was really keen to learn to drive as quickly as possible. He knew the highway code by heart. He knew what all the traffic signs meant and he even knew exactly how far to drive behind the car in front so he could stop in time in an emergency. He’d got used to all the controls in the car till using them had become second nature, and he remembered to constantly check his rear-view mirror. He even knew, unlike many, not to use his mobile phone when at the wheel. The readings for last Sunday were the Ten Commandments from the book of Exodus, followed by Jesus visiting the Temple in John’s Gospel and driving out the moneychangers and the traders with a whip. Here’s what I said. I’m sure that all of you here consider yourselves to be good, upright, law-abiding citizens, who would never wittingly break any laws or statutes currently in force. Even if you don’t always agree with them. Of course – that rather depends on you knowing the law. Just in case you should want to brush up your knowledge of the law, to avoid inadvertently committing any breaches, the British Library rather conveniently keeps copies of all the laws in force – you can go and consult them if you wish. Though I wouldn’t advise it. I’ve read that apparently our general laws and statutes currently fill 358 volumes, while local laws and other private acts fill another 682 volumes. Adding in even more volumes containing statutory instruments that’s 104 shelves of the British Library for you to work your way through. This week the gospel reading is the passage from early on in John’s gospel where Jesus throws all the moneychangers and traders out of the Temple. No doubt they all wondered why he behaved in such a way. The New Testament reading is Saint Paul talking about the foolishness of the cross. Both passages highlight that God acts in a way contrary to the world’s expectations. 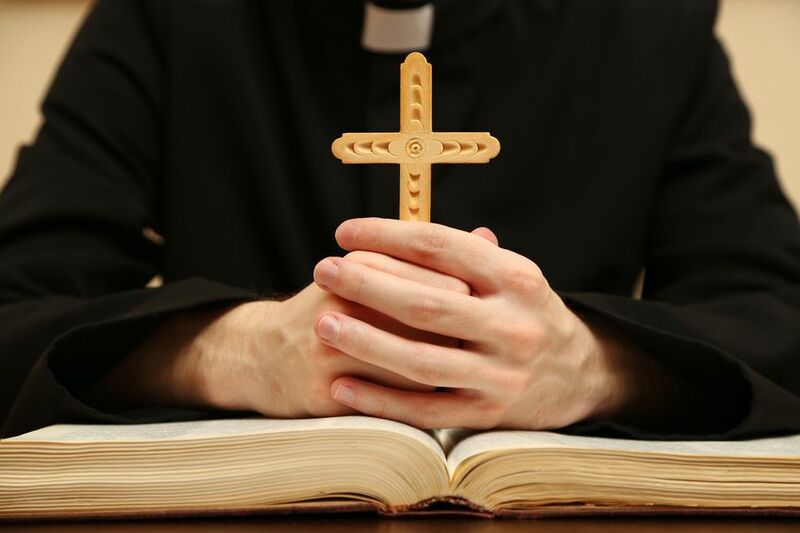 What do you look for in a new vicar? Don’t worry, I’m not planning on leaving just yet! But I want you to think about what qualities you would expect. It’s the policy in some churches of other denominations, when a congregation is seeking to appoint a new minister, to ask them to come and “preach with a view”. What this means is that the elders will be able to see a prospective minister and hear them preach with a view to them becoming their pastor. And, of course, if they don’t like what they see and hear, then they try someone else. I wonder how churches that do this would have reacted to Saint Paul turning up as one of the applicants. How would Paul have fared? Well, Paul was under no illusions about himself. He knew his limitations. He was very good at expounding arguments when writing, but he knew that he wasn’t a particularly good preacher. No preaching from notes in those days – not even any written preparation beforehand – and he simply wasn’t very good at standing up and speaking. Neither did he look the part. And in these visual days we all know how important that is, for example, to politicians and the like. You need to look good or the cartoonists will have a field day! And Paul knew precisely what people in the church at Corinth thought about him for he tells us in his second letter to Corinth how they describe him. And they describe him, he tells us, like this: “His letters are weighty and strong, but his bodily presence is weak, and his speech contemptible.” One early document that is not in the New Testament describes him as “bald-headed, bow-legged, strongly built, a man small in size, with meeting eyebrows, and with a rather large nose…” Any church that invited Paul to “preach with a view” would no doubt be left thinking that while his application was well written, he didn’t look the part and his preaching was boring, and he simply wasn’t what they wanted. I doubt he’d get the job. Yet, while Paul was fully aware of his own shortcomings, he also knew that God had called him to be an apostle. And he saw his own lack of oratory as a symbol of how God works in the world by overturning the world’s wisdom and replacing it with a gospel that seems to many to be sheer foolishness. What a good job that when God was looking for an apostle to the Gentiles he didn’t first of all invite Paul to “preach with a view”! But of course that’s not how God works, is it? God simply does not do things the way the world does – far from it, he positively chooses to behave differently. And today in our gospel reading and in our New Testament reading we hear how God doesn’t play according to the rules – or at least according to the world’s rules. For the way God works in the world is counter-cultural. And we’ll come back to that in a moment. Let’s begin with our second reading. We hear Paul writing to the church in Corinth. And it’s interesting that life Corinth wasn’t really much different from life in London or any other great city today. It was a city with a reputation – a reputation for fast money and fast living. It overlooked two seaports, one facing east and one facing west, and consequently the overland route from one to the other brought countless travellers and traders through the city, people seeking to avoid the treacherous sea journey around the southern tip of Greece. It was full of delights for the passing traveller – from the lavish banquets at the sanctuary of Asclepius to the somewhat questionable rituals at the temple of Aphrodite, the goddess of love, with its thousand slaves attending to the needs of the visitors. And Corinth’s class of nouveau riche was growing fast and pocketing the profits. It was a city of good living and – for some – good money. And many in the congregation in the church at Corinth seem to be wealthy, upper class, educated – and proud of their knowledge of wisdom, proud of their understanding. And Paul’s message to them is “Forget it! Forget all this wisdom! God overturns the ways of the wise and acts foolishly in the world. I said earlier that the way God works in the world is counter-cultural. God does not act according to any society’s cultural expectations. He overturns those expectations and acts in a way that, when you examine it, is often disturbing or shocking to those who do not believe. Recently the Church of England has been criticised by many outside the Church for not reflecting the views of society over equality. This was seen over the debate about women bishops, and many were critical of the Church and said it needed to realise that it was out of step with society as a whole. We now have our first woman bishop, and it was the right decision – but it was the right decision because it was what God wanted, not because it was what society wanted. Take a good look at the Bible and you soon see that God doesn’t do things because society says it’s what it wants. A more recent example is the recent report issued by the house of bishops about poverty in this country. Many criticised them for – as they saw it – meddling in politics. Yet it is not the Church’s role to say what people want to hear and to keep quiet about things people don’t want to hear, but to convey God’s message even when that is uncomfortable and unwanted. For it is not the case that the Church should be in step with society, but in step with God. And one of the problems with God is that he often acts in ways that are completely out of step with what society wants or expects. And Paul shows us that in this extract from his letter. Once in a while it does us good as Christians to take a step back and recognise just how odd – and indeed, just how shocking – our faith appears to those who do not believe. For the claim of Christians is that God does not act according to societal norms. He doesn’t act how people think he ought to, but overturns what Paul calls “the wisdom of the world”, shows it to be foolishness, and in its place gives us the cross. The cross – something that itself is, in the world’s terms, “foolish”. Think about it. Our faith as Christians is based upon an event that in purely wordly terms doesn’t make any sense. We Christians believe that the single most important event in history is the humiliating and degrading death of a poor Jewish itinerant preacher at the hands of an occupying power. For this is the point at which we believe God acted to bring the gift of salvation from sin and the gift of eternal life to those who believe. The central symbol of our faith is the equivalent in modern terms of a hangman’s noose or an electric chair. No wonder Paul calls it “the foolishness or our proclamation, the foolishness of what we preach.” The central act of God in human history is not a demonstration of power but a demonstration of weakness, the death Jesus on the cross. Like it or not from a purely human point of view it’s an odd way for God to behave, and it still seems odd to many people today. Yet, Paul says, God overturns the ways that the world thinks are right and does things that seem ridiculous. Through the foolishness of the cross, he says, God decided to save those who believe. God overturns the ways of the world and behaves in a way that makes no apparent sense whatsoever. That’s how God does things. In our gospel reading today we also hear about things being overturned. In this case, of course, it’s the tables of the moneychangers and the traders in the temple. Now, I’ve no doubt that none of them thought they were doing anything wrong. What they were doing had been going on for years. The Romans weren’t bothered by it. The religious leaders were happy about it. The people needed to exchange their Roman money for Jewish coins to pay the temple tax, and they needed to buy their sacrificial animals somewhere! It was the way of things. What was the problem? Where was the harm in it? But Jesus wades in, risking the accusation that he is getting involved in politics, in matters that do not concern him, and throws them all out. This is not God’s ways of doing things is his message. It might be a system that seems to work and that everyone seems to be happy with – but no matter. Jesus throws out the whole Temple economic system that people relied upon and tells them they’ve got it all wrong. His Father’s house is not to be a marketplace. God’s ways are different. In fact, the Temple was the place where originally, in the holy of holies, the tablets of stone that recorded the Ten Commandments had been housed along with the Ark of the Covenant, in which the people believed God became present among his people. The Temple was a place where people recalled God’s commandments about how to love God and one another, and where they encountered his presence among his people on earth. It was God’s house and Jesus was shocked by how it was treated. There is, in the cleansing of the Temple by Jesus, a parable of the way we need to allow Jesus to act in our lives. In overturning the tables and cleansing the temple he reminds us all that sometimes we all need to allow him in to overturn those things that are getting in the way, to cleanse us from things that are wrong, to throw out old and familiar ways that we cling to because they are comfortable. There may be things in our lives, things in our society, things in our culture, that in themselves seem perfectly harmless – but they are getting in the way of us living out the gospel in our lives and of allowing Jesus to rule over our hearts. Lent is a time for allowing Jesus to clear out the clutter in the temples of our hearts and refilling them with prayer. For God’s ways are different. And through the apparent foolishness of a death upon a cross God calls us to follow his son by leading lives that reject the wisdom of the world and embrace the apparent foolishness of living gospel-filled lives – lives where Jesus is at the centre. We need to let in the God who overturns wisdom and the ways of the world and who doesn’t stick to the world’s rules. We need to embrace the foolishness of the cross. This Lent may we learn once again to be used by God to bring his foolish message to our world.